Ready to explore global issues and learn from London-based work experience? Hit the ground running with CV-enhancing placements in organisations like Mencap and Centrepoint, and get a thorough grounding in the latest research with an option to explore your personal passions. Postgraduate study furthers your career prospects as you benefit from our close links with national and international NGOs and public bodies. My course content is very engaging, as we discuss real-life issues. The theoretical work can be applied practically in the real world which will help me in my future career. We are in the top 300 of Universities worldwide for Sociology. 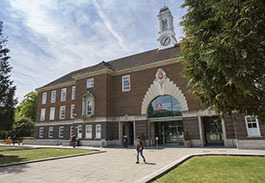 A criminology or sociology degree from Middlesex University London not only involves exploring powerful ideas, it also allows students to put those ideas into action. This means an emphasis on student placements and internships, project-based learning, and integrating technologies into student-led projects.